Get over it? Nuts. If it was that simple, millions would just do it. That the myth – that this is possible. 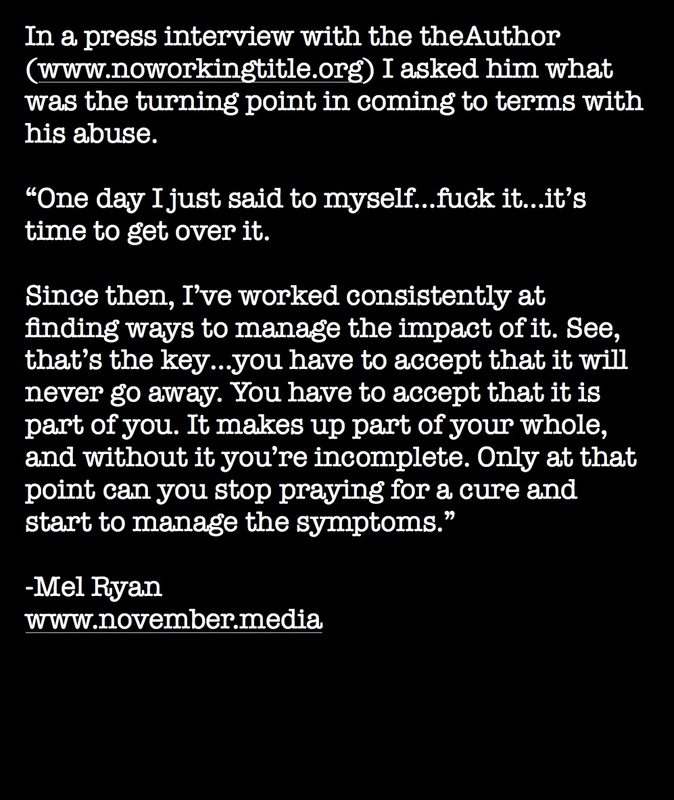 Well, I flatly disagree the idea of managing symptoms (which is NOT “getting over it” at all) is the way to go. In fact we can treat PTSD. I myself have successfully treated PTSD for 17 years. Here’s what I’ve seen: If you can remember what happened to you, it can be fixed. The memory can be made quiet and incapable of being triggered. At that point, if you had PTSD before, you do no longer. My clinical experience is not unusual. The research on PTSD treatment supports that statement. So I’m not just exercising some delusion. It is a common myth that PTSD – and trauma memory which does rise to the level of causing PTSD – cannot be treated and is a life long affliction. That’s just not true. 2) Out of the 10,000’s I’ve spoken to and the 1000’s I’ve sat with over the last 25 years between brokenness and wholeness there is always a singular point where everyone without exception says “I’m not stain in this space, I’m moving on, I’m going to take the journey, make the journey to wholeness. 3) again between these two states only management exists. Therapy is a tool used to manage. Physical exercise is a tool used to manage. Not eating refined sugar is a tool used to managed. All of these ‘management tools’ make up the ecosystem in which healing and wholeness can be cultivated. 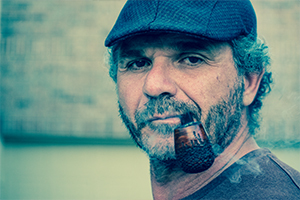 Im sure both you gentleman given your backgrounds and professions have seen ALL of your clients at some point make the single decision to ‘get over it’, apply the management tools you have equipped them with and continue their personal journey to wholeness. Hi TA – thanks for your thoughtful response. Regarding your point #1: I agree that there can be multiple enduring psychopathological outcomes from trauma (including sexual abuse). But the measure of what is possible is not to be taken from the general knowledge of “most mental health professionals”. For one thing, most of them do not treat trauma, and of those who claim to, only some are successful (due to actually using protocols known to work). My profession has a ways to go in this area. Trauma treatment, in truth, is a specialty, and not generally something to be undertaken by a generalist, much less an ill-informed one. I myself have successfully treated every case of BPD I’ve diagnosed – treating it as a trauma disorder. Ditto for every case of PTSD – if the client completed treatment (average length of treatment has been around 12 weeks). Other trauma disorders – Complex PTSD and DID (dissociative identity disorder) are significantly more difficult and require much more time, usually. But we still have a lot of treatment success with them – IF we go about it in the right way. It is simply not true that “All of these are lifetime management issues.” Those of us who actually treat trauma psychopathology are the ones in a position to best comment about this. I am one of those. So is John Burik, who I’ve known (at a distance, via the Internet) for years. I think it would be foolish to discount us. Regarding your point #2: Resolving to “make the journey” is fine. But that journey won’t happen on the basis of resolve alone. I’ve had many people tell me “I’ve gotten over what happened to me”, and every single time I’ve actually done a diagnostic assessment on them they qualify for a PTSD or related diagnosis, or have sub-clinical PTSD, etc. (i.e., not quite enough symptoms to qualify for the diagnosis, but a large problem nevertheless). Learning to “get on with your life” is great, but it’s not healing, and one can do MUCH better. That’s my whole point here. Regarding your point #3: Therapy is not a management tool. It’s a treatment tool. Management is palliative care – pain relief. Morphine is great for a broken leg, but what you really need is to have your bone realigned and a cast put around your leg. THAT is treatment, because it will fix the problem. Palliative care is NOT treatment. Deciding to get some symptom management skills is a really good idea. Stopping there is not. Why settle for that when you can have so much more? Read my review at the link I provided and you’ll see that we really do have treatment procedures that work – and many to simply do not. Using a mere management tool will not get you to wholeness. That’s a clinical fact. This kind of work is what I do for a living, and I’ve done it successfully for almost two decades. But perhaps you’re not interested in expert opinion. If so, delete this comment. Uh oh. Sorry for the double post. Not intentional. I got a server error on the first one, and it appeared not to be been posted. I had a copy elsewhere. I made a small correction, and reposted. Then they both appeared. I suggest you delete the FIRST one, if possible. I’ll agree with “theAuthor” that there’s often a turning point when someone says–metaphorically or literally–Enough! I often saw that in the locked psych ward during someone’s third or fourth visit. The individual would say in some fashion: I knew what to say to get out of here. Now I’m ready to make a change. That said, “managing symptoms is clearly NOT getting over it” (my post above). The decision to change may be a necessary condition. In my experience it’s not sufficient. I saw the same thing when I was Admissions Director at the major psychiatric hospital in Portland, Ore. One evening I admitted a 15 y. o. Indian girl from Washington who told me “I’ve been here 3 times, but this is my last time here. I’m ready to get on with my life.” I hope she found a way to do that. However, I treated a large number of Indians from the Colville Indian Reservation in Wa., when I ran the mental health clinic in nearby Grand Coulee, and none of them were able to “just get over it”. They’d all tried. And failed. Trauma-focused therapy (I used EMDR, mostly), however, did the trick quite well. Managing symptoms doesn’t get rid of them. Treating the cause, and removing it does. Simple idea, powerful effect – when made real in one’s life. I love the conversation that this has opened up, guys. Thanks for your posts. One thing that strikes me, though, Tom, is that you seem to think your profession is under attack. It is not. This is post, this book, and this website is about one man’s journey to wholeness. An extremely brave man, in my opinion, who is sharing each step of the way…the messy and the good parts, in order to bring awareness to an issue. One important thing to note: TA made the decision to change AFTER being told by a professional that management was the only option. He pursued TREATMENT after being told that management was the only option. I salute you and I appreciate the work that you do. Anyone who treats victims of trauma is special indeed. Semantics are important…but so is the spirit of the conversation. Keep trying. Keep getting up and doing it. Get help. Mel – thanks for the positive response. TA is living the life of trauma recovery. John and I are living the life of trauma treatment professionals. One thing we both know is that not enough people, professionals included, know that we can and do treat PTSD, etc., quite successfully. VERY successfully. I am mystified by the fact that the common view is that PTSD is permanent. Well it often is, if you don’t treat it! I hope TA is getting competent treatment, and that he’s experiencing the success that is most often the outcome of such treatment. It’s is tragic that TA was told that management was the only option. Virtually all of my clients have had the same experience. That just makes me LIVID. That’s professional incompetent. I refuse to pull my punches on this. I’ll be launching a new website soon. One of its major foci (plural of focus) is how to tell good information in psychotherapy from bad AND to clearly show decent estimates of treatment success for different sorts of trauma-impacted individuals. This is something I can do personally, so I’m doing it. TA this is exciting! You have caught the attention of TWO (I know that sounds like a small number but it’s way more than zero) sincere, experienced professionals who treat and CURE PTSD. Your words are being heard! Your story has already been changing lives and I believe you’ve only just begun. Kudos to you for your bravery. I’m glad Tom and John care about PTSD enough to make curing it their work. I’m also glad they wrote here so more of us now know a cure is even a possibility. This is great news for everyone, y’all.